Hello! We have a new sketch at Freshly Made Sketches today! Jennifer Brum is our lovely, most talented hostess and I just love her sketch for this week! With all the Mother's Day cards I saw submitted last week, I figured I need to get in gear and see what I could come up with. And Jen's sketch was the perfect start! 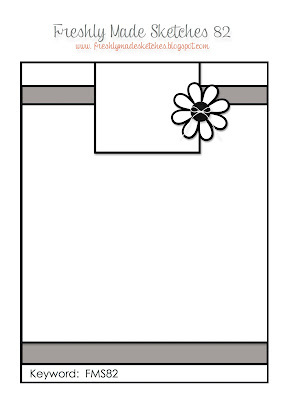 I used a light gray damask patterned paper to add a touch of understated elegance. I didn't want it to be the focus of the card. 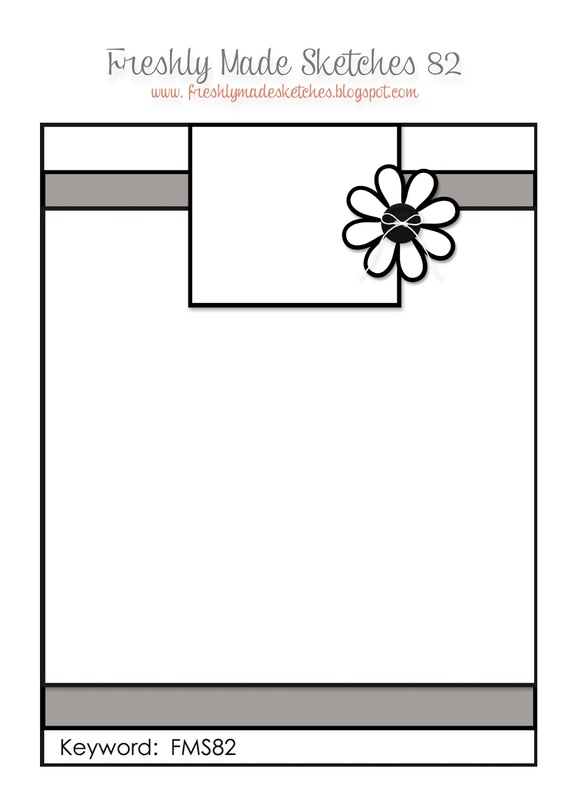 Then I found the perfect flower in my Daydreamer stamp set from Papertrey Ink. This is one of my favorite stamp sets and now there are matching dies - yay! Yellow roses are my favorite flower so no hard decision there. I am happy with how it turned out and I have Jen and her great sketch to thank! Be sure to stop by Freshly Made Sketches and check out the wonderful creations from the Clean Team! And please come and play. I'd love to see your take on Jen's sketch! Beautiful Mother's Day Card! Love the pop of the bright yellow flower! This is a beautiful CAS card Linda! I love that bit of elegant damask paper peeking at the bottom and the sentiment is just lovely! This card is fabulous Linda! I love it!!! That yellow flower is wonderful! I love that sentiment! This is such an amazing mother's day card!!!! This is a fabulous Mother's Day card, Linda! I love the elegance of the white space and the understated DSP, but that sentiment stamp is what really makes this card in my opinion. Perfect in every way! Great card, I love the sentiments. 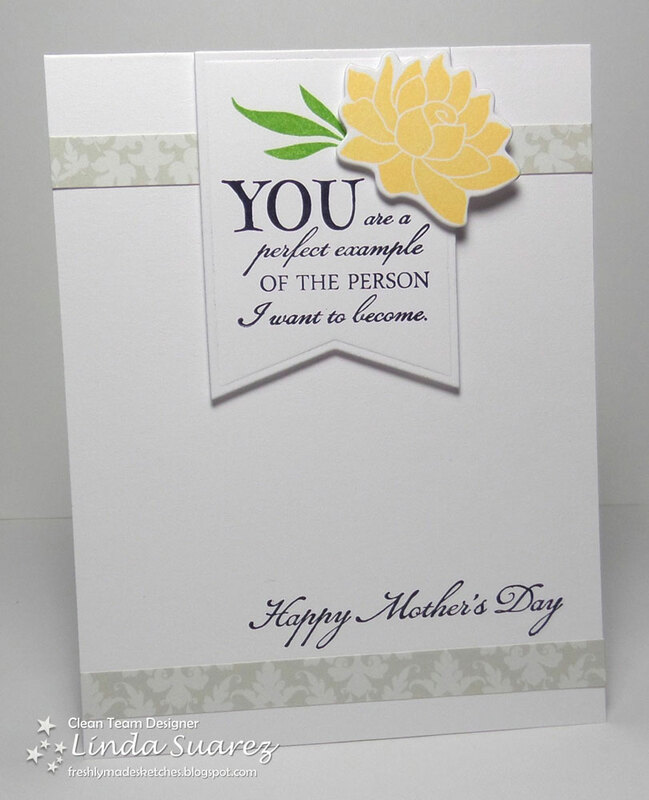 What a beautiful sentiment for a Mother's Day card! I love the subtle strips of dsp and the pop of the yellow flower. Beautiful! 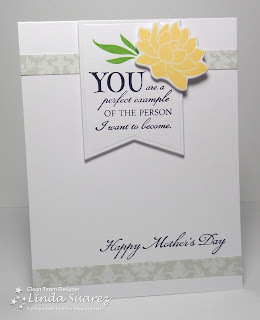 This is so stunning Linda - gorgeously clean and perfect sentiment! Lovely card....very elegant. Love the beautiful colors. What a beautiful interpretation of the sketch, Linda! Love that sentiment and your gorgeous colors! Lovely and oh so elegant card, Linda. Freshly Made Sketches #83 - Happy Birthday Vicki!